Michael Tomasky had an interesting piece in The Daily Beast called Is Florida Even a Swing State Anymore? “You will also hear them say a kajillion times until Election Day that Florida is a swing state. Well, yes. It has been historically. But the combination of massive demographic changes since 2012 and Trump’s anorexic performance among college-educated whites makes me wonder if Florida is a swing state this year at all. And while the Republicans might nominate a normal candidate in 2020, the state’s demography is galloping away from the GOP. 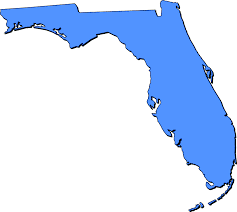 But I think Florida has had a couple of things going for it that made that less obvious. First, an unusually large retired population. Old people vote at a higher percentage and they tend to skew Republican. This has been a buffer against the 40% minority population of Florida, which otherwise should have thrown Florida into a permanent blue zone years ago. Of course that 40% isn’t as clear cut. Tomasky is right that younger Cubans lean strongly Democratic and Puerto Ricans lean about 80% Democratic, however election time in Florida usually leads to some interesting radio ads, in which a Spanish surnamed Republican may find himself opposing a Spanish surnamed Democrat for the same local seat. Although I’m a firm believer that demography is destiny, there are some local gator sized hiccups in that. Of course this year is no off year election. This is a full on Presidential year which means at least 50 million more voters will turn out; the classic low information voters who only turn out in Presidential years because that’s the only race they are aware of, and that’s only when one of the NCIS shows gets pre-empted for a Presidential debate. So I find it hard to imagine a scenario in which Florida goes red for Trump this fall. There may be one, but the default for 2016 for me was always that Florida was going blue in 2016 and right now I see nothing to change that. This entry was posted in Politica and tagged Election 2016, Electoral College, Florida, Florida Blue State, Michael Tomasky, Politics, The Daily Beast. Bookmark the permalink.